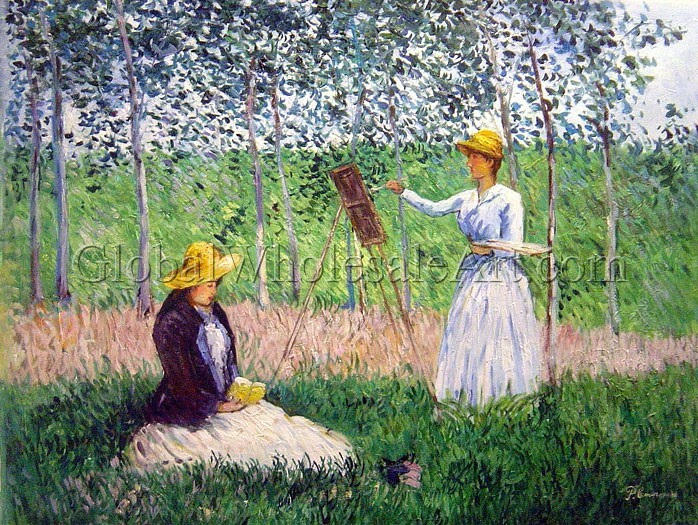 TITLE: "In The Woods At Giverny - Blanche Hoschede Monet At Her Easel"
"In The Woods At Giverny - Blanche Hoschede Monet At Her Easel" by Claude Monet is a 100% hand-painted oil painting reproduction on canvas painted by one of our professional artists. Our experienced artists start with a blank canvas and paint each and every brushstroke entirely by hand! 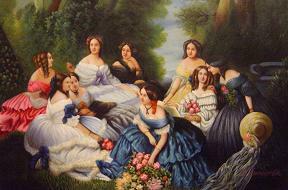 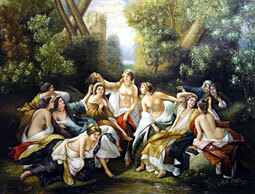 "Portrait Of Empress Eugenie Surrounded By Her Maids Of Honor"